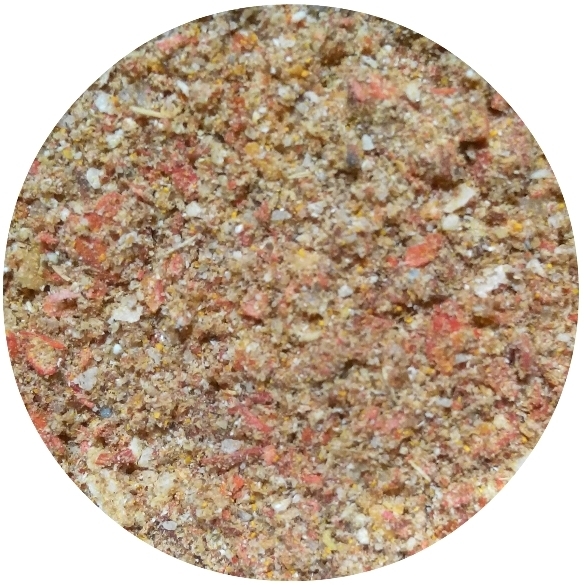 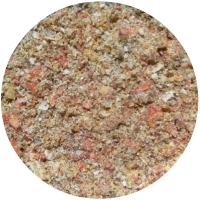 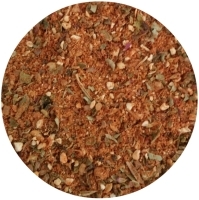 Ingredients: Tomato granules, white sea salt (14%), onion, garlic, coriander, ginger, cardamom, turmeric, bird’s eye pepper (piri piri) granules (6%), cumin, white pepper. 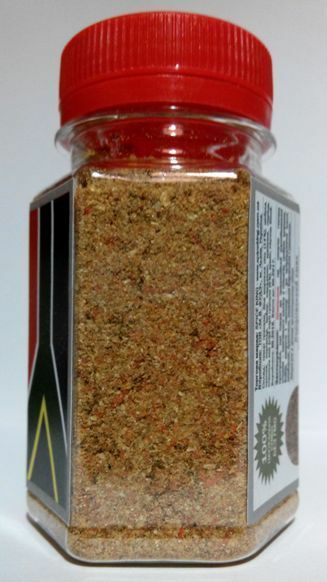 Heat level: 4/10 (very hot). 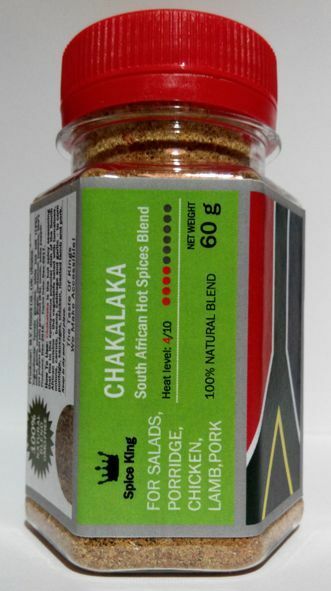 How To Use: Chakalaka is the hot spicy seasoning that fits to the eponymous popular dish of the South African cuisine – the vegetable salad with tomatoes, onions, carrots, beans, cabbage and garlic – to corn porridge, sausages, chicken, roasted lamb and pork. 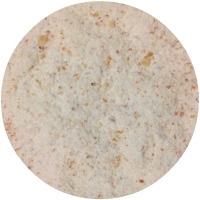 2x1L PET bottles - 1 kg net weight - USD 20.30/1kg.